Bookworming in the 21st Century: A favor to ask.. BookWorming in the 21st Century Bookworming in the 21st Century: A favor to ask.. I'm going to ask a very special favor of 5 of you. I am absolutely dying to read Maria Synder's new book - Sea Glass - and I can get a signed copy of it from Maria, if five of you email her telling her that Kristen from Bookworming in the 21st Century chatted up her books with you. Maria has this great referral program that anyone can participate in. You just have to talk to FIVE people about her books and then have them send an email to her saying you did. You get to pick one of her books and she'll send it to you signed! How cool is that? Check it out on Maria's website. Let me know in a comment below if you're willing to do this for me! Thanks! If you comment that you will, I'll give you +10 for the comment contest this month. 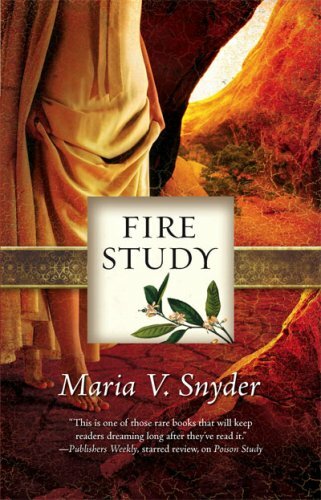 The Study Series - consists of Poison Study, Magic Study, and Fire Study. Shivers, obsession, sleepless nights—these are the results not of one of the milder poisons that novice food-taster Yelena must learn during her harrowing job training but of newcomer Snyder's riveting fantasy that unites the intelligent political focus of George R.R. Martin with a subtle yet potent romance. Through a stroke of luck, Yelena escapes execution in exchange for tasting the food of the Commander, ruler of Ixia. Though confined to a dank prison cell and doomed to a painful death, Yelena slowly blooms again, caught up in castle politics. But some people are too impatient to wait for poison to finish off Yelena. With the help of Valek, her steely-nerved, cool-eyed boss and the Commander's head of security, she soon discovers that she has a starring role to play in Ixia's future—a role that could lead to her being put to death as a budding magician even if she hits each cue perfectly. The first in a series, this is one of those rare books that will keep readers dreaming long after they've read it. 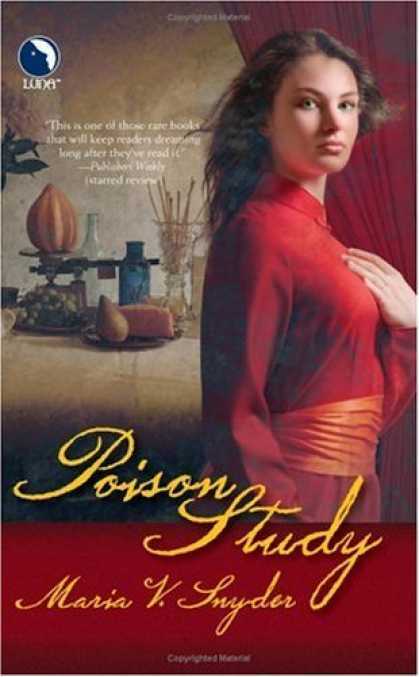 Family betrayal, a power-mad serial killer and a potential diplomatic crisis threaten the independent-minded heroine of Snyder's fine sequel to Poison Study (2005). With the overthrow of the royal family of Ixia, 20-year-old Yelena Zaltana, who was kidnapped as a child by the evil magician Mogkan, is now free to return home to Sitia. Her reunion with the family she hasn't seen in 14 years palls when her brother spreads rumors she's actually a spy from Ixia. At the Magician's Citadel, where Yelena enrolls to hone her prodigious magical talents, her powers raise concern that she might be a rare, powerful Soulfinder. Then a string of ugly murders reveals the presence of a rogue magician in the area. As Yelena joins the hunt for the killer, complications grow with the arrival of a diplomatic mission from Ixia—including her lover, Valek, a notorious spy and assassin, sure to be executed if anyone sees through his disguise. Snyder's lively, charming mix of romance and fantasy is sure to gain her new fans. 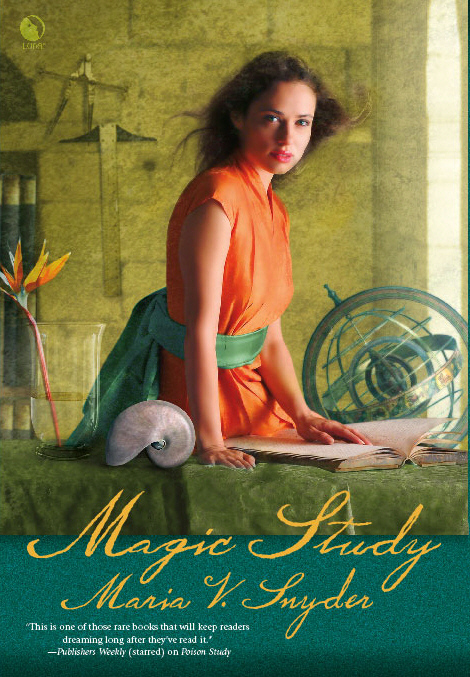 Fans of high-spirited adventure, intrigue and romance will celebrate the third book (after 2007's Magic Study) in the saga of reluctant mage and diplomat Yelena Zaltana. The news that Yelena is a Soulfinder, able to manipulate the spirits of the dead and the living, hasn't made her popular with the inhabitants of Sitia's Magician's Keep, since the last Soulfinder turned people into mindless slaves. First Magician Roze Featherstone's hostility toward Yelena increases until the Sitian Council decides to send Yelena north as diplomatic liaison to the rival nation of Ixia. When Roze takes over the council, imprisoning her rivals and driving the nation to the brink of war with Ixia, Yelena is caught between her duties as liaison, her love for Ixian intelligence officer Valek and her fear of her own power, which she must embrace fully to defeat Roze and restore the council. Snyder delivers another excellent adventure, deftly balancing international and local hostilities against Yelena's personal struggles. You know I will do it! Obvi. Do you mind if I do it in the morning tommorrow, when I'm more cognizant? I so did! :) Told her that you think she rocks too. Bad news. The email address came right back. Sure that's the right one? Oh Blarg! I forgot a V! I changed it up above too! That's ok, typos happen. I do it all the time. I just resent the email! Of course I will do this for YOU!! I'll go send it now! I'll do it too.. Her books are great, you have to read them! I'm on it girl. You can count on me. They do sound good! I'll send it now! I have sent an email for you. Good luck. I sent one too! Maybe she'll send you a copy of both of her books! I'll send an email anyway - her Study Series looks amazing! Haha lovely Kristen! Did you just read about it on my blog? I went ahead and sent an email on your behalf!! I'm guessing you've already had your five recs by now! I love Maria! I haven't read her books yet but I've had some contact with her. She is absolutely lovely. Looks like I am reading a little too late to help you out, but let me know if you need anymore help and I will definitely send an e-mail out. Good luck Kristen! All of her books look really good! It looks like I'm late to help (#emmafailsasbloggingbuddy) but it's really cool that you did this! was this for a contest... or did you just want one? I'm so going to do this I love Snyder! Thanks for the heads up! I haven't read these books but I heard they're good. Is this for a contest?? That's very cool of the author to do that. After reading the descriptions of the books, I'm intrigued. They all sound pretty interesting, so I might have to do some shopping now. I think this is a great way for an author to get someone talking about their books!